Aysen qualified as a solicitor with North London firm, Pegden & Dubow in 1996, and then joined Wilsons in 2000. She was made a partner in 2005 and is head of the Family Department. Aysen is ranked in the Legal 500 and described as excellent’ and ‘able to quickly identify the key point in each case’. Aysen specialises in family and childcare law. 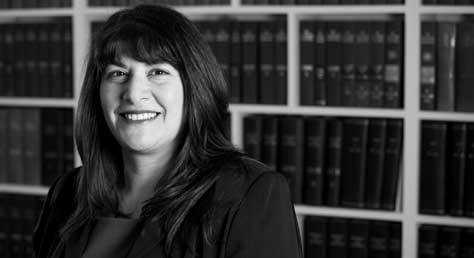 Her practice covers all aspects of family work, including divorce or civil partnership dissolution, and financial settlement (whether high net worth or middle income families), domestic violence and injunctions, and public and private law Children Act work. She has also dealt with adoption and international child abduction, and has been instructed by the Official Solicitor. She has experience of drafting pre-nuptial/pre-partnership agreements and is accredited to the Law Society’s Advanced Family Law Panel since 2010: subject areas; Private Law Children and Financial Remedy. She is also a member of resolution and works hard to adopt a conciliatory approach to resolving family disputes. Aysen acts in high value financial disputes and is able to give wise advice on merits and strategy. Interests: Travel, watching tennis, good food and spending time with her family. How Much Easier Have No-Fault Divorce Changes Made A Lawyer’s Job?